MLB free agency is upon us. Over the next couple of weeks, I’ll preview teams around the Major Leagues, and give you a look at what to expect. We started off with the New York Yankees, so it makes sense that our next team is the Boston Red Sox. The Red Sox only lose Craig Breslow and Rich Hill this offseason. The infield is basically set. Dustin Pedroia, Xander Bogaerts, Hanley Ramirez and Pablo Sandoval are lined up across the diamond. Blake Swihart will be behind the plate next season after he made a nice impact during his rookie season. If Hanley Ramirez plays first base, as is being reported by multiple outlets, it’ll block 25-year old Travis Shaw who finished off a stellar rookie season. There is the possibility that the Sox trade Ramirez and/or Sandoval, but right now, neither player’s value is high so I’m not sure that dealing either right now is best for the team. I’d look to sign some backups to accompany Brock Holt. David Ortiz will enter what should be his final season, so maybe the Sox sign a player that will eventually fill that role. There aren’t many holes in the outfield either. Jackie Bradley Jr., Rusney Castillo and Mookie Betts will be in the outfield this upcoming season, with appearances by Brock Holt. So now what? Well the Red Sox do have room to back these players up, and have been linked to former Yankees outfielder Chris Young. Signing Young would be a good move for the Sox, and would bring them added depth. This is where the focus of the offseason should be for Boston. They will be in the market for the top arms out there. That is no secret. Other than their 2013 World Series title, Boston has experienced three last-place finishes in the last four seasons. It all starts with the pitching. Dave Dombrowski acquired David Price back when he was with the Detroit Tigers. What makes you think he wouldn’t want to get him again? They won’t have to surrender a draft pick to get him, which makes Price the most likely offseason free agent to turn contract talks into a bidding war. Zack Greinke, Jordan Zimmerman and Johnny Cueto are other candidates to sign with Boston, and would turn the Red Sox from zeros to heroes. There are always trade opportunities too. The Sox talked to the Cleveland Indians over the summer regarding Carlos Carrasco, and so there could be an avenue there. There is also the possibility that was raised in my Yankees preview, that the Washington Nationals could look to deal Stephen Strasburg. The Red Sox have six prospects in the MLB.com Top 100 Minor Leaguers list, and a group of starters that could be dealt for better arms. In the bullpen, I’m looking for the Red Sox to do what they do best, and race the Yankees in gaining assets. They’ve already done that in trading for closer Craig Kimbrel, and may have overpaid for him. My feeling is that he’s only going to be in there when the team is up by three or less, and they haven’t been in that situation lately. But while I would’ve tried to build up the rest of the team first, Kimbrel is a great addition to Boston. Now the Sox need to build up the rest of their pitching staff this offseason. The Yankees will not see too many losses this offseason, losing just Chris Capuano, Stephen Drew and Chris Young to free agency. I see all three in different uniforms in 2016. With Mark Teixiera and Greg Bird (who should and will start the season at AAA) at first base, Didi Gregorius at Shortstop, and Chase Headley at third base (and of course Alex Rodriguez at DH/3B), the Yankees are pretty set at the infield positions. I will say that they need “could use” an improvement at second base. They don’t NEED one. With Jose Pierla traded to the Padres earlier today, I’d look to use the 25 year old Rob Refsnyder at second base as the Yankees look towards the future. Brendan Ryan is going to be 34 years old on opening day, and should stay as a utility infielder. The argument for Ben Zobrist is intriguing but he’s going to turn 35 next year. I’d only take him on a two year deal. Today’s trade of Pierla does open up a spot for him though. There aren’t really any holes in the outfield either. The Yankees have Brett Gardner, Jacoby Ellsbury, Carlos Beltran, Dustin Ackley, plus Mason Williams and Slade Heathcott locked in the outfield. If I were the Yankees, I don’t think that I’d trade Gardner, as he represents the leader of the clubhouse after Derek Jeter’s retirement. 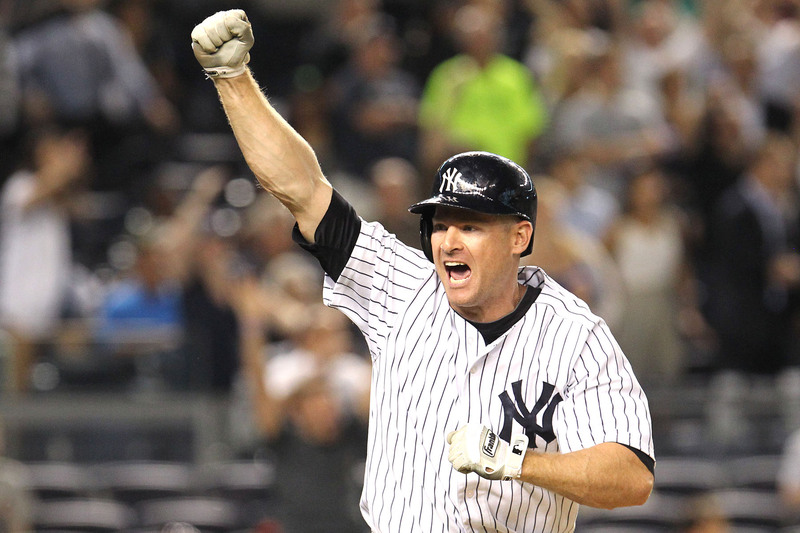 But, it was reported Wednesday morning that Brian Cashman discussed trading Gardner with the Seattle Mariners. It’s not a big surprise as the Yankees look to trim payroll and Gardner has three years at $39.5 million left on his contract. Speaking of the Mariners, an interesting NY Post column on Tuesday questioned whether the Yankees could trade a hefty Ellsbury contract and a prospect northwest to Ellsbury’s hometown team (Although he’s really from Oregon), for the hefty contract of Robinson Cano. Boy, would that change things. I don’t really see that happening because Seattle is in “win-now” mode, but an interesting idea none the less. If the Yankees were to go out and trade Jacoby Ellsbury though, I’d welcome it. The Yankees could however trade one of their outfielders, and make room to sign Justin Upton, who’d be a great addition to the team and would succeed in Yankee Stadium. On the other hand, the team just acquired outfielder Aaron Hicks from the Minnesota Twins, trading away catcher J.R. Murphy. Hicks was a .256 hitter with 11 home runs and 13 stolen bases. Clearly this is an acquisition of a right handed hitter to replace Chris Young. I like the move, as it gives the Yankees a great defensive player in Hicks. Not much to change, but acquiring an outfielder would be ok with me. Side note: One of the things that I’d like you, the readers, to take away is that General Managers have hundreds of discussions with other GM’s over the course of the season. Many of these do not turn into actual trades, and so hearing that a name was discussed doesn’t really mean much. That’s because every name is discussed, whether the GM wants to trade him or not. That’s how Josh Donaldson got traded to the Blue Jays last season. Do you really think that over 17 years, Cashman was never approached to discuss trading Derek Jeter? Of course he was. He just never traded him. So when we hear these names dropped over the next few months, just remember that every name has been discussed. Ok back to the pitchers market. If Miller is traded, I’d slide Delin Betances into the closer role and go after Cincinnati Reds reliever Aroldis Chapman. Chapman and Betances would make for a deadly combo. But I like the Betances-Miller combo right now so I’m not so quick to trade the closer. Then we get to the starters. Masahiro Tanaka is the ace and he is going to stay. So is Michael Pineda and Luis Severino. Then there’s CC Sabathia, Nathan Eovaldi, and Ivan Nova. There is room for improvement and I will immediately look at David Price, and not Zack Greinke. They’ll both go for a lot of money, but what’s the defining factor for me? The draft pick compensation. By signing Greinke, the Yankees would have to forfeit their first round draft pick. With Price, they won’t have to surrender anything because Price was traded mid-season. So if you’re the Yankees, why sit back and wait till next offseason to get a starter? One of the best is right in front of them, so they should definitely get their feet in the door. Jeff Samardzija’s name has been raised in possible Yankee targets. My personal favorite option comes out of our nations capital (and no, I’m not talking about Bryce Harper, who many have already declared a future Yankee in 2019). I’m talking about Stephen Strasburg. Well why would the Nationals get rid of Strasburg, you might ask. Well, the former number one overall pick will become a free agent at the end of the 2016 season. His agent, Scott Borus, has been known to take his players into the open market. Why not test drive Strasburg for a year before making a decision on him and overpaying? Strasburg to the Yankees would be an interesting acquisition and shouldn’t go overlooked. All in all, the Yankees should mostly be looking at pitching for this offseason. The Yankees have signed Andrew Miller and have traded for Didi Gregorius, but they’re not done yet. Here’s the players that I think Yankees fans should keep an eye on. What should they do? Let us know in the comments. Signing Headley is important for the Yankees. It was reported that the Yankees and the San Francisco Giants, who lost Pablo Sandoval to Boston, are the teams interested in Headley. Unless of course the Yankees want A-Rod at third base (HA). If I were Brian Cashman, I’d call to inquire about acquiring Chapman. The 26 year old Cuban fireballer would be a perfect addition to the bullpen, and could very well take over the closer role in the Bronx. Imagine Miller, Betances, and Chapman closing out games for the Yankees. Currently, the Marlins are the only other team being speculated as a destination for Chapman. The Yankees were linked to Papelbon late Tuesday night and early Wednesday morning. It would definitely be interesting to see a former Red Sox closer pitching for the Yankees. Interesting option here. Wednesday morning, reports surfaced that the Dodgers, Red Sox, and Yankees were the interested teams. I don’t think he’d be the closer if the Yankees signed him. He’d likely setup Betances. The big fish. Scherzer would immediately impact the Yankees. The Bombers had injuries to the rotation all year, and adding Scherzer would fix the need for another starter. Reports are that McCarthy will probably wind up with a three year deal. This would be a cheaper option than Scherzer. Wednesday morning, it was reported that the Nationals were getting offers for Clippard and Blevins. The teams that were making offers were not mentioned though. Could the Yankees be interested? The 2014 season is upon us and we have all waited patiently for the national pastime to begin once again. The New York Yankees open up spring training today down in Tampa, Florida and for the first time since 2009 there are a number of questions with this team. 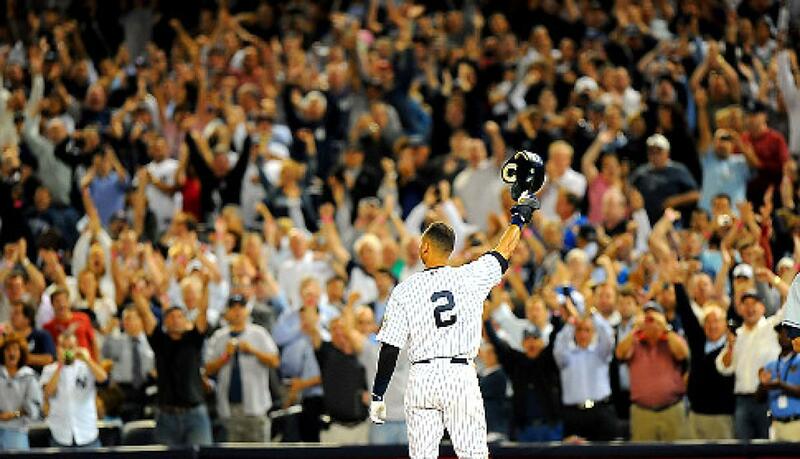 As you should know at this point, the face of the Yankees, heck, probably the face of baseball for the past two decades, Derek Jeter plans to retire at the end of this upcoming season. Who will replace him is one of the many questions that needs to be examined as the team opens up camp. The 2013 season was one full of frustration for the team and the legendary shortstop who only played 17 games coming off of a fractured ankle. One thing to look out for is whether or not he can stay healthy in his final season. He has work tirelessly this offseason to heal and gain strength back in his lower body, but at the same time he will be 40 years young this June and he cannot play every day in the field as he used to. The Yankees need to find another option at short just in case the injury bug comes back to bite Jeter. Is that answer Eduardo Nunez? The young infielder hit .260 with three home runs and 28 RBI last season, but he struggled in the field. Another option the Yankees could go is to sign free agent SS, Stephen Drew. The shortstop is still without a home this season after helping the Red Sox win the World Series last year. Although he batted .253 with 13 homers and 67 RBI, he is great in the field and a good clubhouse guy. Whether or not the Yanks will reach out to him we will soon see. The losses of many important players from last year’s team will impact this year’s team greatly. Mariano Rivera, who was the greatest security blanket in the history of finishing ballgames, is gone; Andy Pettitte, who was one of the most consistent, reliable Yankee pitchers to begin ballgames, is gone; Robinson Cano, who came up through the system as a teenager and blossomed into one of the most valuable players in the game, is gone. The infield is unresolved and troublesome; as of now Brian Roberts and Kelly Johnson are starting at second and third respectively. Roberts used to be one of the best second basemen in the league, but he has spent much of the last five years on the DL. Kelly Johnson is a good defender, but at times his offense is a little suspect. Also, how will Mark Teixera come back? He injured his right wrist during preparations for the World Baseball Classic and was eventually diagnosed with a partially torn tendon sheath. He hit .151 in just 15 games before undergoing season-ending surgery on July 1. With all that said, still the Yankees could win 95 games in 2014. The front office has spent half a billion (!!!) dollars this offseason to put a winning product on the field and they expect no less than a championship with this roster even with all the losses stated above. The outfield is outstanding with the additions of Jacboy Ellsbury and Carlos Beltran, also holdovers such as Brett Gardner and Alfonso Soriano will be key in the success of this team. Beltran is one of the best clutch hitters in this generation and Ellsbury wreaks havoc on the bases. Soriano’s power will be much needed again this season and the combination of Gardner and Ellsbury will add a different dimension to the offense. The outfield defense is now much improved now that two of the fastest players in the league will patrol left and center. Beltran is no slouch in right as he has a rocket from out there and can gun people out. Behind the plate, the Yankees added Brian McCann this offseason and he is a major upgrade for this team. His offensive numbers will be like nothing we have seen in the past few years at that position for the Yanks. 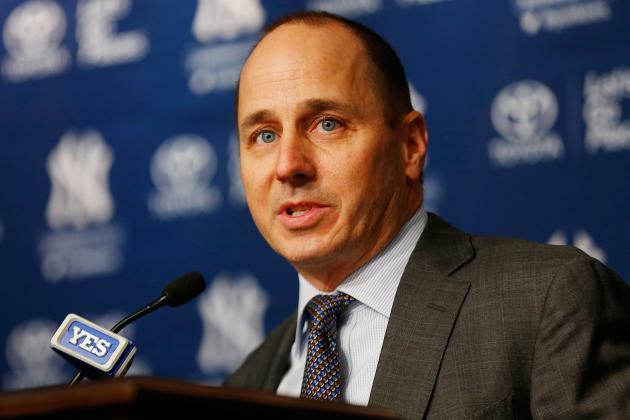 His leadership and fire will help the team and the young pitchers on the staff such as, Tanaka, Pineda, and Nova. Speaking of the pitching, the starting rotation has questions to answer themselves. How will star free agent signee, Masahiro Tanaka, translate to the MLB? Will CC Sabathia return to form? What version of Hiroki Kuroda will we see; the one pre August 15th or after? Well, it all starts with Sabathia, who struggled last season with different injuries and ended the season on the DL. He and Kuroda will have to perform to take the pressure off of Tanaka. Ivan Nova should look to continue his success off of last season and continue to develop into a quality pitcher. Following Nova will be a combination of David Phelps, Adam Warren, Michael Pineda and Vidal Nuno all fighting for the 5th spot. The best scenario would be for Pineda to get it because he is only a few years removed from being considered one of the best young pitchers in the game. The bullpen also has questions and has competition between at least a dozen unproven names. David Robertson has been given the role of closer following Rivera. Clearly, fans cannot expect him to duplicate what Mo did, but he can be a quality closer if he limits his walks and locates his pitches. Now, who will replace Robertson as the set-up man? That spot is up for grabs, but as of now it looks like Shawn Kelly will get the opportunity. His stuff is at times electric, but he looked tired by the end of last season, so time will tell. The Yankees also signed Matt Thornton, who before his arm trouble was a great reliever for the White Sox. The 2014 Yankees team is one of promise, but also one that is full of questions. It will be very interesting how this team unfolds this spring going into the season. All the hype and attention will be on Tanaka and Jeter, but it will be the role players that will define this team and help lead them to a 28th World Series.